Store saved games in the cloud is a useful and safe option, after losing all the progress of the games can be very frustrating. Thus creating the habit of making backups of games helps users get rid of this problem. In this tutorial, check out how to save and manage their titles in clouds. Among the options, there is the step by step in using the cloud of Steam, the Origin, Game Save Manager and more. In the case of games Steam, it is possible that many titles in the library are already protected by the function Steam Cloud (also known as Steam Cloud), which automatically transfers the saved game files to the servers of Valve's service. In addition to protecting the progress, the feature allows you to continue the games on any computer. Step 3. Make sure the "Enable synchronization with the Steam Cloud for applications that support" is checked. If not, select it and select the "OK" button to save the changes. In the pages of each game, compatibility with the function appears in the right corner of the screen, the game information section. To see which account the games offer the feature, simply open the "Library" menu, select the list view and see which games have the cloud icon. Those who count on the icon have progress saved on servers. Step 3. In the menu that opens, look for the "Cloud Storage" section, the "General" tab, and make sure the "Enable cloud storage for all supported games" option is selected. If not, check it and exit to save the changes. In the library of games Origin, you can check which games are compatible with the synchronization with the cloud. Simply hover over the cover of the desired title, then press the "i" button (information) on the game card. On the screen that opens, check that there is a tab "Cloud Storage" next to the tab "Details". If there is, the game is compatible with the feature. Also note that you can enable cloud storage for all library titles from the same menu. Step 3. Next, select the folder on the computer used by the storage service in the cloud. After the selection, the program creates copies of each game and keeps progress always protected. Step 3. After choosing the service, synchronization starts. 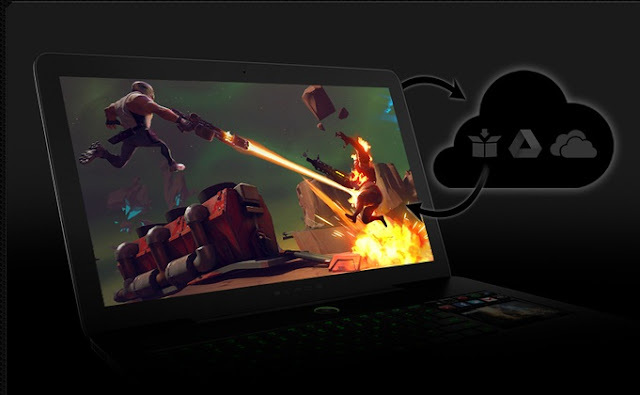 If you want to exchange the service by Razer Game Booster, select the button with the current program icon in the lower left corner and then click the "Change cloud service."